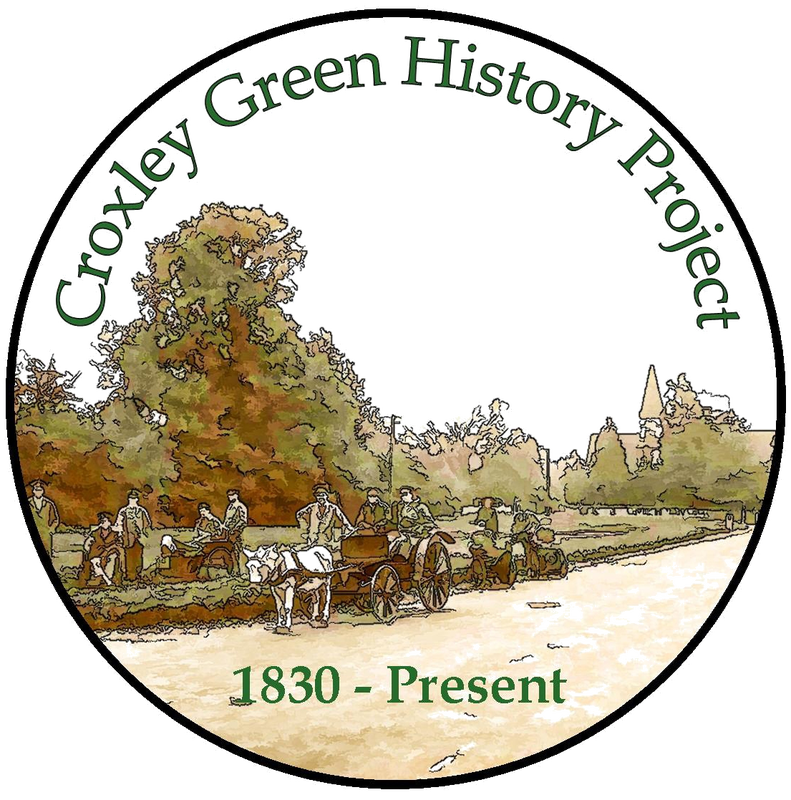 In the early days, the population of Croxley Green was not very great, and mostly consisted of the gentry, farmers and their labourers. This changed with the coming of John Dickinson’s paper mill in 1830, which brought an influx of new workers. The increasing numbers necessitated the growth in provision of places of worship in Croxley Green. The earliest known were a little chapel at Waterdell (Little Green), the Methodist Church in New Road and the Gospel Hall on Scots Hill. The majority, however, would have walked the mile and a half to St Mary’s in Church Street, Rickmansworth. 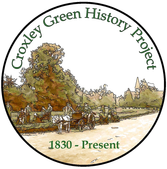 Births, marriages and deaths were recorded there until Croxley Green became a separate parish and All Saints Church was built in 1872 at the southern end of the Green. It was during the second phase of major expansion of Croxley Green, in the 1930s, that more churches were built: the Baptist Church and St. Bede’s Roman Catholic Church, both in Baldwin’s Lane. Although All Saints had been enlarged in 1908, the Vicar in the 1930s, the Reverend Percy Langdon, decided it was necessary to build a second Anglican church, preferably nearer to the centre of the parish. This was St. Oswald’s in Malvern Way. During WW2 Croxley Green had two major bombing attacks and in 1944 the Gospel Hall on Scots Hill received a direct hit and was demolished. However, land was made available in Fuller Way for new premises soon after the war ended and Fuller Hall was built. Today Fuller Hall belongs to a fellowship of Independent Evangelical Churches (FIEC), a network of over 500 independent, evangelical churches mainly in the United Kingdom that preach an evangelical faith. All these places of worship participate in various aspects of community life in Croxley Green as well as supporting varied groups within the life of their churches.